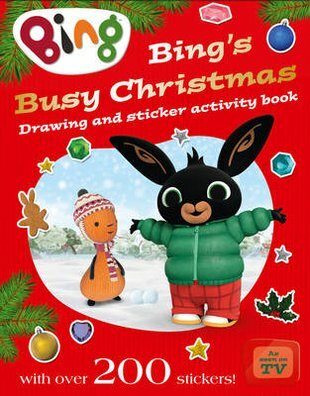 Christmas – it’s a Bing thing! So enjoy it with him! Do you like the same bits the most? Find out in this jolly sticker book: your chance to share tons of festive fun with Bing and Flop! That means: drawing, puzzles and sticker play with over 200 stickers. Christmassy places to visit. Presents, decorations and fun in the snow. Plus: how huggable does Bing looks in his little green anorak? Aw.